PH-80 has one year warranty. Can be used for testing the alkalinity or acidity of almost any liquid provided the liquid contains less than 50% alcohol and a conductivity of at least 10 µS ( 5 ppm TDS). 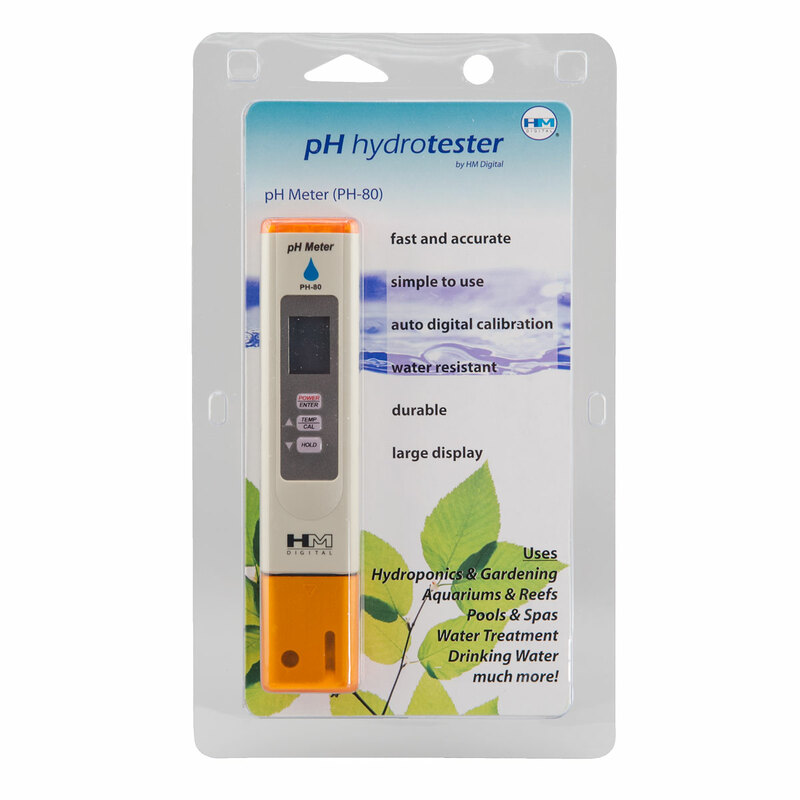 pH meter may not be stable in pure, distilled or de-ionized water. NOTE for owners of the PH-80: Your PH-80 is shipped with the sponge in the cap dry. Prior to use, pour a small amount of storage solution from the Mylar packet into the sponge so that the sponge is moist (not dripping wet). Put the cap back on and allow to soak for 15 minutes (standing upright) prior to use. Additional electrode storage solution is available for purchase.